With its dusty streets and simple (read affordable) lodgings, Cahuita bustles as a hub of backpacker tourism in southeastern Costa Rica. The nearby national park remains a top reason to take a trip to Cahuita, a low-key destination with a string of black-sand Caribbean beaches. While the national park appeals to adventurers interested in hiking and bird-watching, the town's pleasantly uncrowded beaches remain ideal spots to swim, dive, snorkel, and unwind with a few cold drinks and a good book. A holiday in Cahuita also provides a chance to experience the local cuisine, a blend of European and Afro-Caribbean influences that result in some of Costa Rica's tastiest dishes. 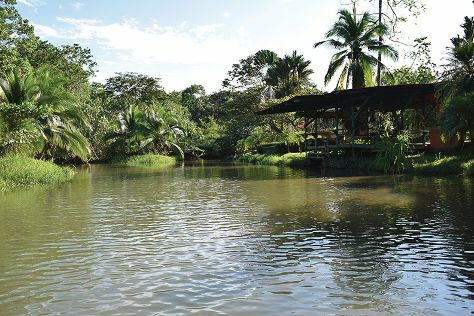 Cahuita is in Province of Limon. To arrange what you want to do in Cahuita, use our Costa Rica holiday planning site .